Probably the original BBC Software company, this was a software arm of Acorn itself. In my mind, and many others, it is recognised as one of the best. 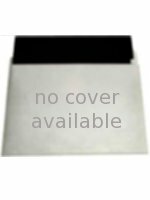 It was particularly good at converting the arcade games of the time (Asteroids, Space Invaders, etc) and it also did a few text adventures which were also good. It is probably best known for the discovery of Elite, and Revs, Geoff Crammonds' first in a long line of succesful racing games. Superior Software eventually came in and bought the whole of Acornsoft's back catalogue in 1986 and from then on some of the games were re-released on the Play It Again Sam, and Acornsoft Hits collections. After five years in the ring it was still the unbeaten champion, and you can imagine why, Acorn had all the knowledge about the beeb, everything which it was capable of, and how to do it in the best way possible, which is why most of their games are extremely well programmed. Acornsoft also produced a lot of software on ROM, not to mention business and educational packages. 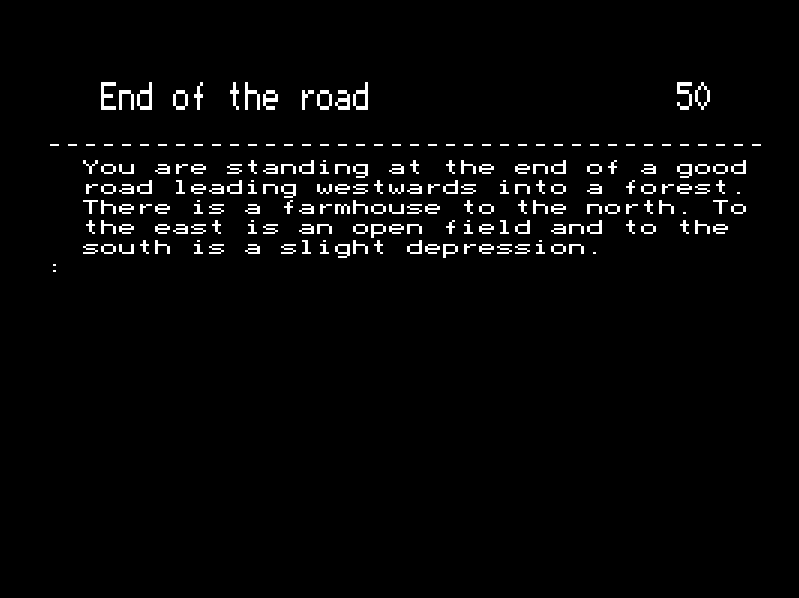 A huge adventure game, roughly 3 times larger than the original Advent/Colossal cave, this was originally programmed on the 'Phoenix' an IBM mainframe located at Cambridge University. Reckoned by many to be one of the most difficult and largest of its kind. The game is so big that there was no cassette version and it came on TWO discs! 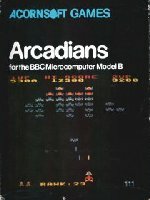 It was ported to the BBC by Peter Killworth and co.
A set of four games, including Breakout, Space Invaders, Dodgems and Snake, they were all produced in Mode 7, and because of the small memory usage they worked on the BBC Model A as well. Because Mode 7 isn't exactly great for fast moving graphics, they are rather blocky and cumbersome, but if you had a Model A, then it was all you could play! One of my favourite games, it is really just a Galaxians clone, but it is especially well done. It has two minor gripes, the ship is a bit out of proportion to the invaders, and they tend to get you into a corner all the time. Cool things include the neat explosion sequence. 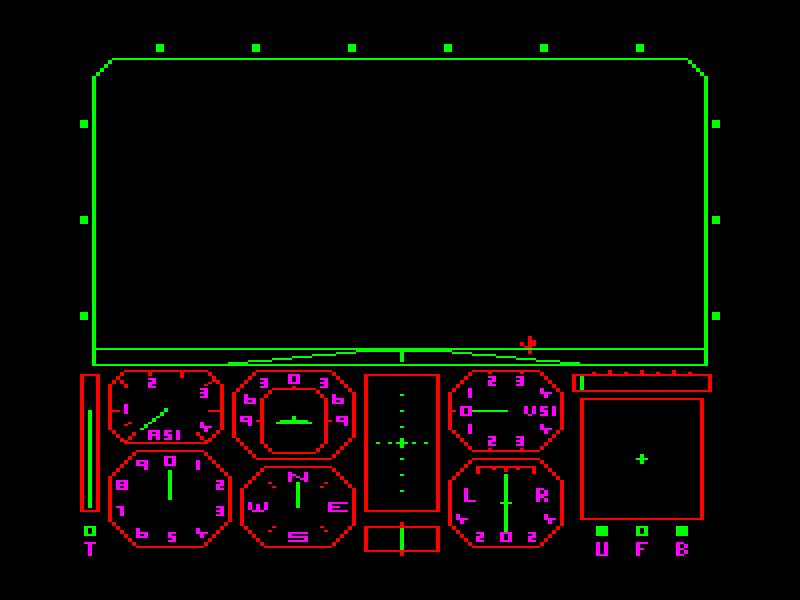 An advanced (for the time) Flight Simulator, I thought this was a bit boring, as most flight sims tend to be (for me anyway) but I suppose you could have some fun as there is an option to fly against space invaders. One of their big hits, this has lots of scenery, and the graphcis are more fluid than in their earlier Flight Simulator, it is quite fun for a while, at least if you like this sort of game. Good game in which you have to stop theives from stealing your gold by shooting them. The graphics are low-res mode 2, they look good and the game is definitely worth playing. Strangely enough, this game is very rare! 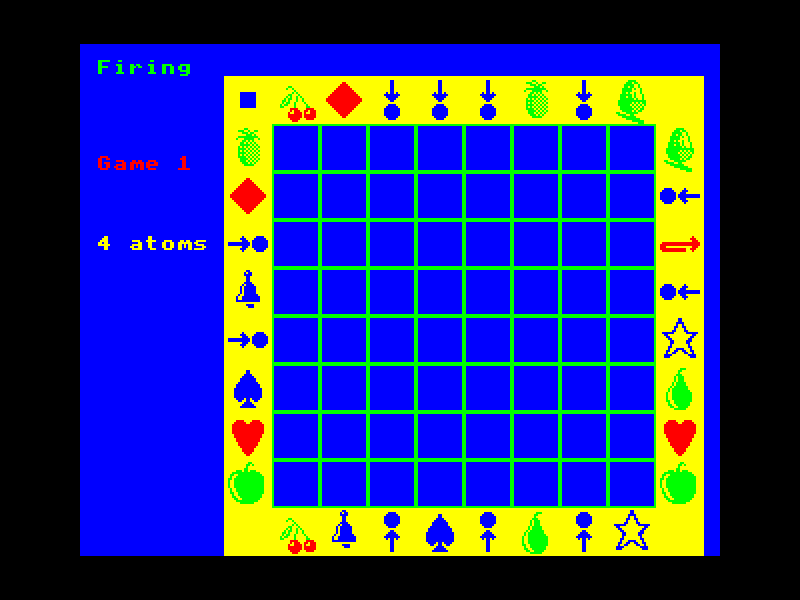 This is a strategy game based on X-Ray diffaction of crystals, you have to deduct where in the grid the atoms are based on firing particles in to the grid. You guess the locations, and the computer marks you based on the number of guess you had and the number of atoms you guessed correctly. Its an interesting game, and executed well. There are some rules for it here. 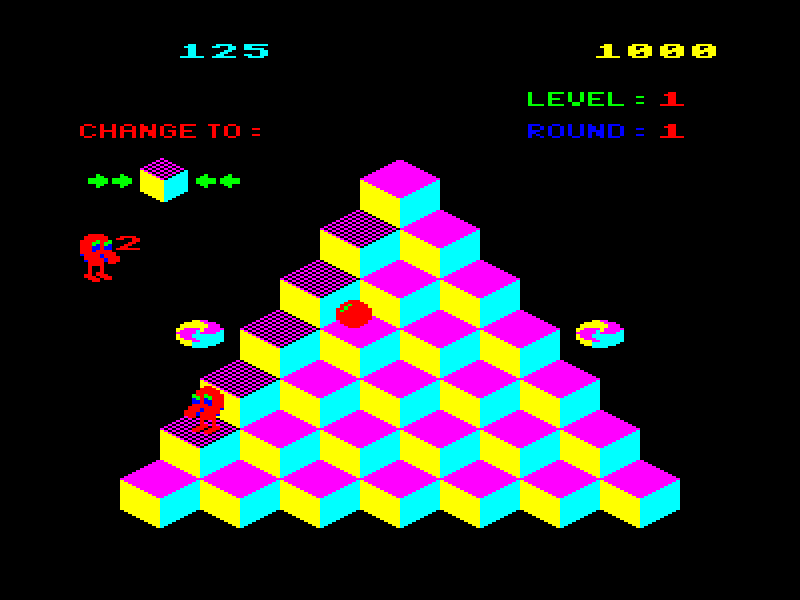 Acornsoft's conversion of the arcade smash Q*Bert - its a good attempt, well up to the usual Acornsoft standards. 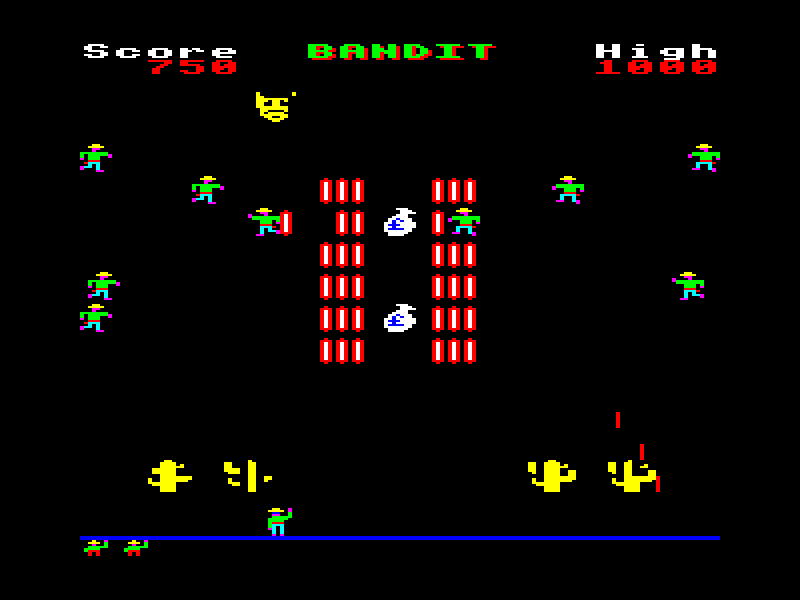 Worth a bash but there's around about 20 other attempts at the same game on the beeb, this was probably the first though, unless Superior just beat them to it! This is a boxing game with a difference, the difference being that it is really more like a platform game! 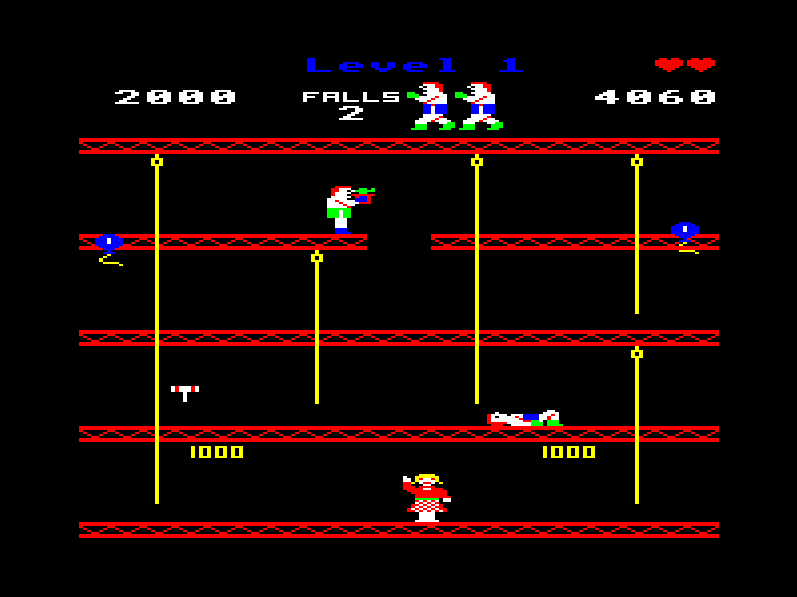 You run around the level against your opponent played by the computer, and have to collect the balloons which are lodges on platforms around the level. 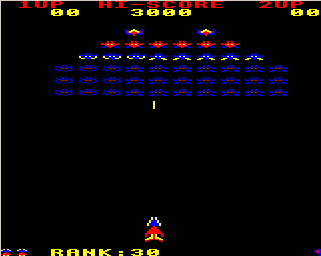 The graphics are nice, and look a lot like Firebug, but the gameplay is much simpler and not as fun in my opinion. A sort of shoot the ducks fairground game. You have to shoot things out of the air with your gun, and collect extra bullets for it. Has a weird section where a bear runs across the screen. It also has a really good tune for annoying people. The graphics are very minamalistic, but they are qdequate for the game. This is a game made from all the locations and puzzles that could not fit into the BBC version of Philosophers Quest. It is set in a castle, hence the name and you have to solve the riddles to complete it. It is more detailed than most of the adventure games released by Acornsoft, and is pretty good fun as well. Acornsoft offered a prize for anyone who could complete the riddles in the game, the prize being a badge saying "I conquered the Castle of Riddles".